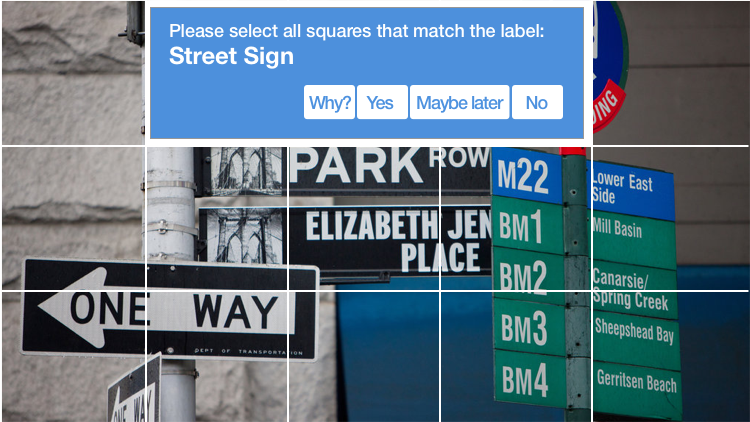 Google already knows you’re human, so why do they keep making us prove it? Ever consider applying for a job at Google? Most people don’t know it but they are already working for them. 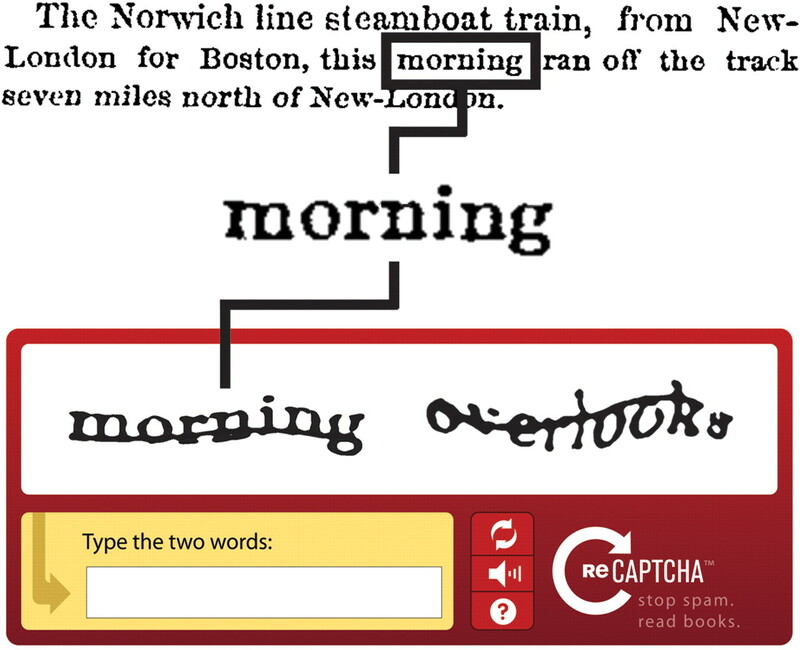 In 2014 Google introduced the NoCaptcha Recaptcha: a simple box, where you click to confirm that you aren’t a robot. Instead of having the user enter anything, Google simply watches your mouse movement and decides if you are a robot or not. 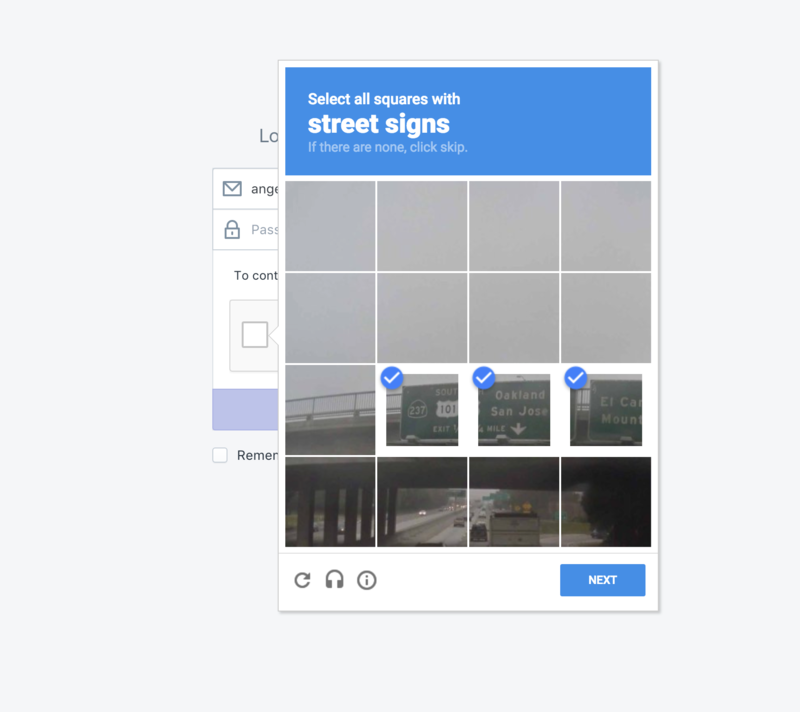 Google's Captchas are no longer trying to determine if you are human or bot, they are more so trying to use the captchas to train algorithms that help classify images into categories, for better image search results, similar image recognition, text to image translations, etc. 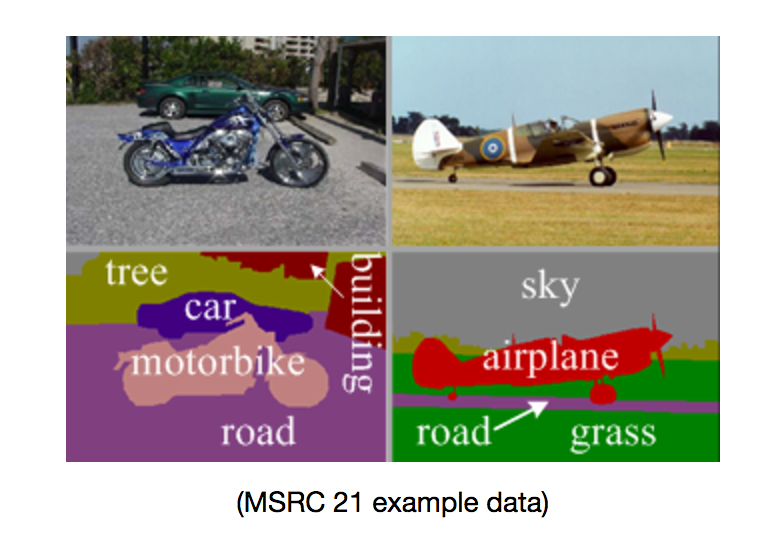 Google's latest effort is to train a system that not only comprehends the objects in an image but also recognizes events, relationships, context, and the objects boundaries within that image. Google Maps - Extracting data such as street names and traffic signs from Street View imagery to improve Google Maps with useful information like business addresses and locations. Self driving cars - We are training different algorithms to understand and recognize street signs, cars and pedestrians in the area, traffic lights, etc. that are then implemented into the self driving cars as knowledge. Sorting by Category for Google Search - While images are being identified the data is being stored. So the system learns to separate dogs from cats, hot dogs from hamburgers, people of different cultures, health issues or fit people, etc. Google Image Search - it learns with each new image uploaded and results get more exact the more it trains. Looking for help with image recognition or other problems in the Ai and data science field? Contact our experts to find out how we can help.